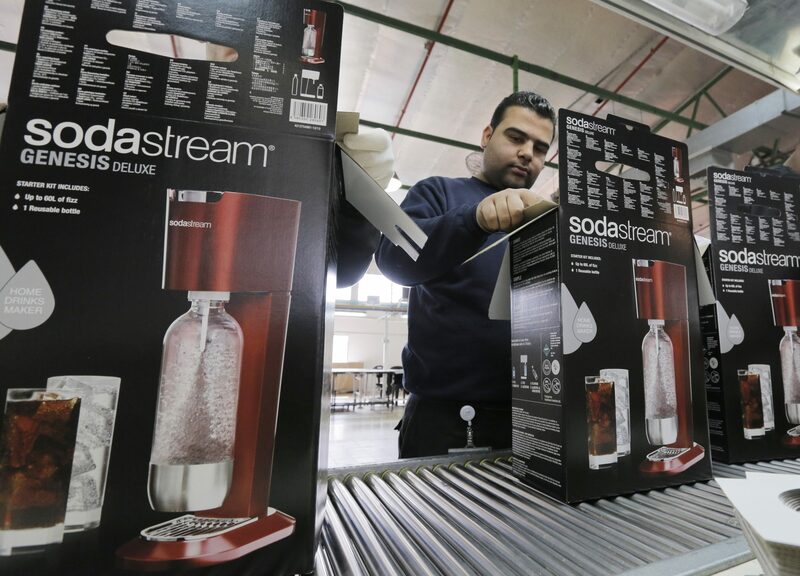 As CEO Indra Nooyi departs, the drinks giant is buying SodaStream for $3.2 bln. Diversifying into the high-growth carbonated water market has strategic logic, and Pepsi has cash. But new boss Ramon Laguarta will need sparkling revenue growth to make a decent return. Employees pack boxes of the SodaStream product at the factory in the West Bank Jewish settlement of Maale Adumim January 28, 2014. Picture taken January 28, 2014. PepsiCo said on Aug. 20 it would buy Israel-based fizzy drink maker SodaStream in a deal valued at $3.2 billion. Pepsi will acquire SodaStream for $144 per share in cash, a 32 percent premium to the company’s 30-day volume weighted average price. The transaction needs to be approved by SodaStream shareholders and is expected to be closed by January 2019. SodaStream, which makes machines that turn tap water into carbonated water, will help diversify Pepsi’s portfolio of snacks and beverages. The deal follows a transaction from Pepsi’s main rival Coca-Cola on Aug. 14 which agreed to buy a minority stake in BodyArmor, a sports drink maker backed by basketball star Kobe Bryant. SodaStream’s Israel-listed shares were up 9.13 percent at 523.5 shekels ($143.3) at 1303 GMT on Aug. 20.